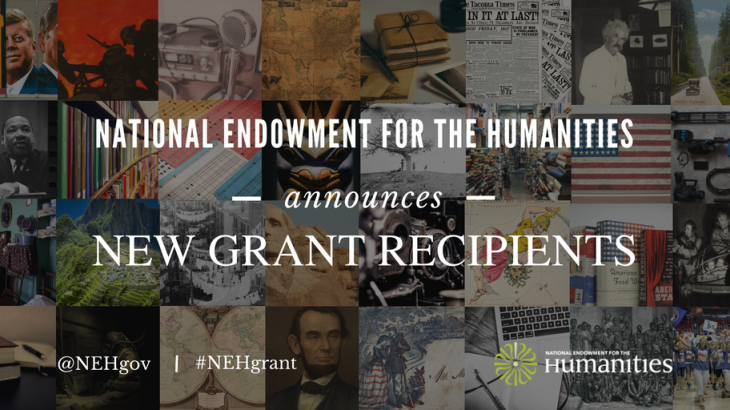 Emory Center for Digital Scholarship’s (ECDS) Sounding Spirit received a $260,000 grant today from the National Endowment for the Humanities (NEH). Sounding Spirit is an initiative to publish digital and print editions of widely influential but currently inaccessible books of sacred music from 1850 to 1925. The three-year peer reviewed grant from the NEH’s Scholarly Editions and Translations program will facilitate the editing and production of editions of five songbooks of gospel music, spirituals, shape-note music, and lined-out hymn singing. These nineteenth-century vernacular southern music genres have reverberated across American music and culture to the present. The editions, richly annotated with text and multimedia, will be built using Readux, an ECDS platform for browsing, annotating, and publishing with digitized books. The songbooks included are principally drawn from the English and American Hymnody and Psalmody Collection at Emory’s Pitts Theology Library, one of the largest such collections in North America. The digital and print editions will be co-published by ECDS and the University of North Carolina Press in a groundbreaking open access publishing partnership. Jesse P. Karlsberg, ECDS senior digital scholarship strategist, is editor-in-chief of Sounding Spirit and will direct the grant project. ECDS’s Allen Tullos, Sara Palmer, Jay Varner, Yang Li, and Robert A. W. Dunn will also contribute expertise to the project, to be joined by a new Sounding Spirit managing editor whose hiring is possible thanks to the NEH’s support. Jubilee Songs (1872), edited by Sandra Jean Graham, was the first published collection of spirituals sung by the pioneering Fisk Jubliee Singers, who popularized spirituals through performing them across the United States and beyond. Class, Choir, and Congregation (1888), edited by Kevin Kehrberg and Stephen Shearon was a tremendously popular gospel songbook during a period when the then-new genre was booming in popularity. Original Sacred Harp (1911), edited by Jesse P. Karlsberg, is an edition of the most well-known shape-note tunebook, that helped participants navigate balancing singing music associated with the past in the present. Browse Original Sacred Harp on Readux. stories ECDS, grants, NEH, Readux, Sounding Spirit. permalink.